Our freestanding tumble dryers come with the option to choose between venting straight outside or condensing the water into a container that can be easily emptied when full. This means that you can install a tumble dryer wherever you have the room. There is also a heat pump model that reuses hot air to dry clothes more quickly and using less energy. The range includes some great features to help you storm through the laundry pile, including larger load capacities and digital progress indicators. The ADV7CLCW is a freestanding vented tumble dryer, including a 7kg dry load, LED display, anti crease function and vent kit for ease of use. 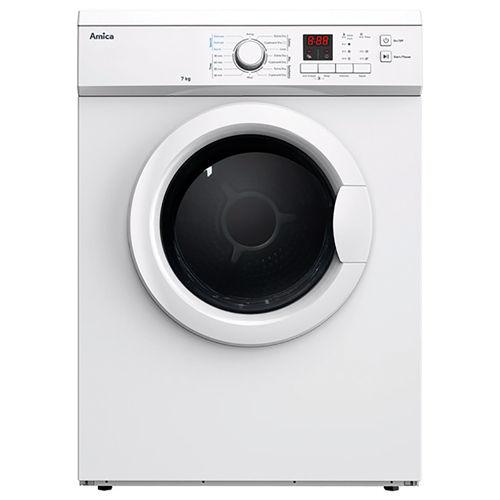 The ACD8WH is a freestanding tumble dryer with maximum capabilities. It boasts a huge 8kg dry load, this condenser dryer has 16 programmes including a delicates setting, anti crease for time saving on ironing and a variable drying duration, taking the hassle out of the every day laundry. 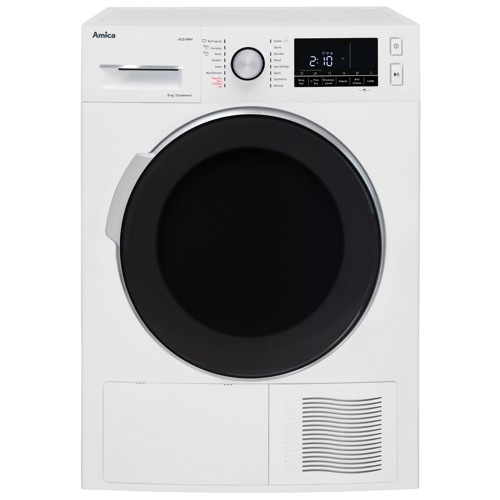 The AHD8WH is a freestanding tumble dryer with maximum capabilities. It boasts a huge 8kg dry load, this heat pump dryer has 16 programmes including a delicates setting, anti crease for time saving on ironing and a variable drying duration, taking the hassle out of the every day laundry. On top of all of these great features it also comes with an impressive A++ energy rating to keep costs low.